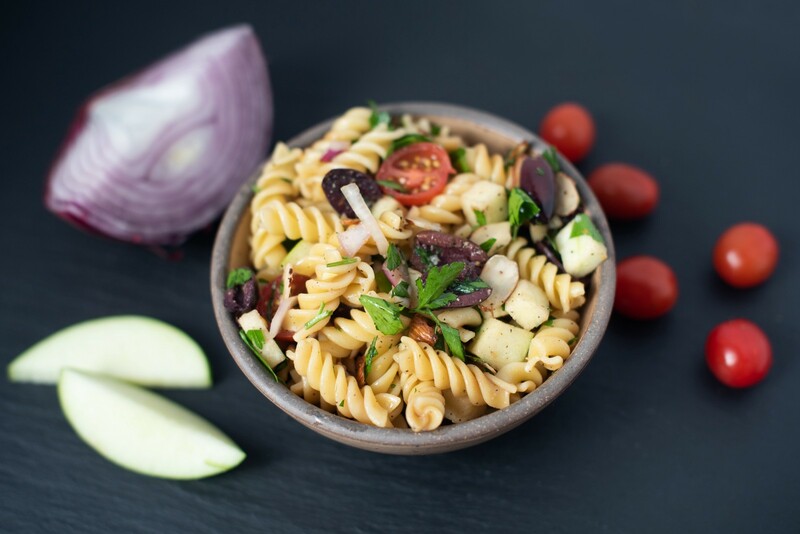 We’re all about salads here at @cbdsuperfood — and today we’re branching out from our normal leafy greens to enjoy a delicious, homemade pasta salad! Like yesterday’s @cbdsuperfood spicy roasted red pepper hummus, pasta salad is a good recipe to have on hand form meal prep. It’s budget friendly, hearty, and a nice way to use up a variety of produce from your kitchen. Ours features a savory dressing with a hint of balsamic that perfectly compliments the tartness of tomatoes and green apple pieces. This dressing is made with our @cbdsuperfood ghee, which adds a buttery flavor and texture and, of course, all the possible healing benefits of CBD! We hope you’ll keep this on hand for #sundaymealprep — make a big batch so that you can enjoy a nourishing and soothing lunch throughout the week. Boil pasta. Set aside to cool, or rinse with cold water to cool quickly. When pasta is sufficiently cooled, prepare all vegetables. Slice cherry tomatoes in half, finely chop red onion and cube green apple. Mince fresh parsley. In a small bowl, whisk together balsamic, CBD Superfood ghee, olive oil, salt, pepper, and garlic powder. In a large bowl, combine all veggies and slivered almonds with pasta. Stir in dressing, and enjoy!